The heart of the system is a diode pumped solid state (DPSS) master oscillator placed in a sealed monolithic block, producing high repetition rate pulse trains (88 MHz) with a low single pulse energy of several nJ. Diode pumped amplifiers are used for amplification of the pulse to 35 mJ or up to 50 mJ output. The high‑gain regenerative amplifier has an amplification factor in the proximity of 10⁶. After the regenerative amplifier, the pulse is directed to a multipass power amplifier that is optimized for efficient stored energy extraction from the Nd:YAG rod, while maintaining a near Gaussian beam profile and low wavefront distortion. The output pulse energy can be adjusted in approximately 1% steps, while pulse‑to-pulse energy stability remains at less than 0.5% rms at 1064 nm. 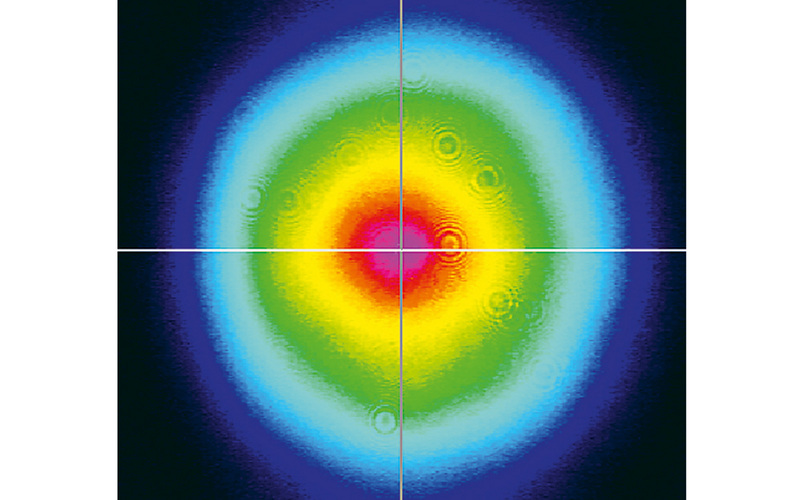 Angle-tuned KD*P and KDP crystals mounted in thermostabilised ovens are used for second, third, and fourth harmonic generation. Harmonic separators ensure the high spectral purity of each harmonic guided to different output ports. Built-in energy monitors continuously monitor output pulse energy. Data from the energy monitor can be seen on the remote keypad or on a PC monitor. The laser provides triggering pulses for the synchronisation of your equipment. The lead of the triggering pulse can be up to 500 ns and is user adjustable in ~0.25 ns steps from a personal computer. Up to 1000 μs lead of triggering pulse is available as a pretrigger feature. 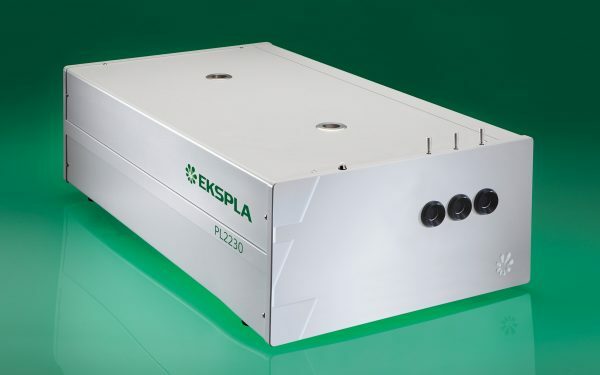 Precise pulse energy control, excellent short-term and long-term stability, and a 50 Hz repetition rate makes PL2230 series lasers an excellent choice for many demanding scientific applications. For customer convenience the laser can be operated from personal computer through USB (RS-232 is optional) interface using supplied LabVIEW™ drivers or from remote control pad with backlit display that is easy to read even while wearing laser safety glasses. Due to continuous improvement, all specifications are subject to change without notice. Parameters marked typical are not specifications. They are indications of typical performance and will vary with each unit we manufacture. Unless stated otherwise, all specifications are measured at 1064 nm and for basic system without options. Specifications for models PL2231A, B and C are preliminary and should be confirmed against quotation and purchase order. 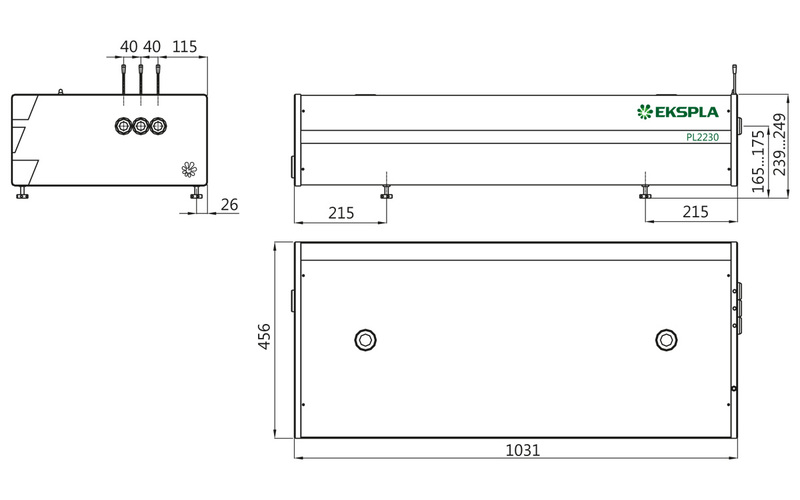 For PL2230 series laser with –SH, -SH/TH, -SH/FH or -SH/TH/FH option or –SH/TH/FH/FiH module. For PL2230 series laser with –TH, -SH/TH or -SH/TH/FH option or –SH/TH/FH/FiH module. For PL2230 series laser with -SH/FH or -SH/TH/FH option or –SH/TH/FH/FiH module. For PL2230 series laser with –SH/TH/FH/FiH module. Measured over 8 hours period after 20 min warm-up when ambient temperature variation is less than ± 2 °C. Near field Gaussian fit is >80%. Air cooled. Adequate room air conditioning should be provided. Note: If laser is optimised for pumping parametrical generator, maximum output energy may be different than specified for stand alone application. Due to continuous improvement, all specifications are subject to change without notice. Parameters marked typical are not specifications. They are indications of typical performance and will vary with each unit we manufacture. Unless stated otherwise, all specifications are measured at 1064 nm and for basic system without options. Specifications for models PL2231B and C are preliminary and should be confirmed against quotation and purchase order. Provides 80 ps ±10%output pulse duration. Pulse energy specifications are same as those of 28 ps lasers.